Welcome to Over Our Heads Players Season 27 ! Whether its your first OOHPS production or you've been an audience member since our inaugural production 27 years ago at our first home "George's Bar" - welcome. Our theatre company was in fact "born in a bar" 27 years ago. Since then we have been bringing professional quality, new theatre experiences to our community and priding ourselves on winning audience members along the way. We love to hear audience members rave about adopting us as "their theatre!" What can you expect from an OOHPS production? The unexpected. We take great pride in offering our community an urban theatre style that is most often reserved for cities much larger than ours. Our mission continues to focus on new material and the OOHP emphasis on humor. We enjoy providing topics and humor from all angles, including thought provoking plays that may even find humor and messages in the darker corners of life. And we continue to never edit for content or language. We are so very grateful to our loyal audience and generous sponsors that have helped make this 27th year possible. Our greatest achievement has been watching our audience and community grow with us. The time and effort invested by our many dedicated volunteers, board and our staff, is in service the moment you arrive. Our gratitude that you have chosen to spend your time here with us cannot be overstated. We look forward to having you in our audience ! 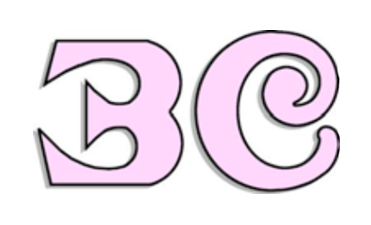 A hilarious and occasionally horrifying alternate universe sitcom. 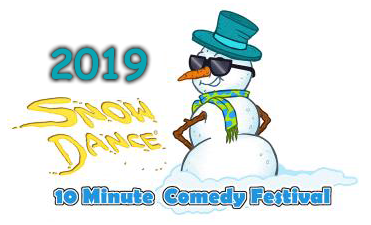 10 Minute Comedy Festival. A Competition of Original Comedies. Warm, Nostalgic, Family Vacation Comedy. 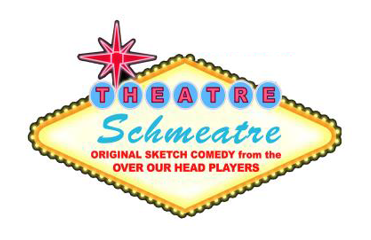 Over Our Head Players is a non-profit organization of volunteer talent from throughout Southeastern Wisconsin and operates the Sixth Street Theatre in Racine. We are now entering our 26th year as one of the best contemporary theatre companies in the area. Simultaneously hilarious and touching: Driving across Iowa, Don relives the vacations he spent as a boy trapped in the family station wagon en route to uninteresting sites. Shifting smoothly from the present to the annual, torturous vacations of his childhood, it will keep you laughing, remembering the childhood vacations you tried to forget. 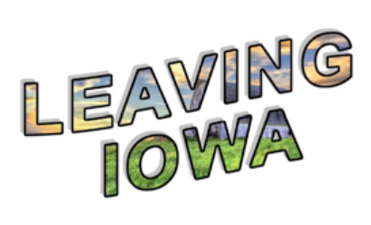 An encore performance brought back by popular demand: we first presented Leaving Iowa in 2009, at Festival Hall, and are bringing it home to Sixth Street Theatre. If this were a movie, we think it would be rated “PG”. To reschedule a show time, you must call the Box Office 48 hours beforehand. In the event of a cancellation for which there is no rescheduled date available, a refund for this ticket may be issued at the discretion of the management. NO refunds are allowed on Season Ticket orders. We do not ship or mail tickets. All tickets are held on will-call at the box office the day of the show. Please review the complete OOHP Policies.